When temperatures start to skyrocket outside and the climate becomes too hot for you to stay comfortable, it’s easy to flip on your air conditioning unit and bask in the cool air that floods your home. When your unit isn’t functioning properly or is operating at below-quality efficiency, however, it can severely hamper your enjoyment of your living space during these summer months. 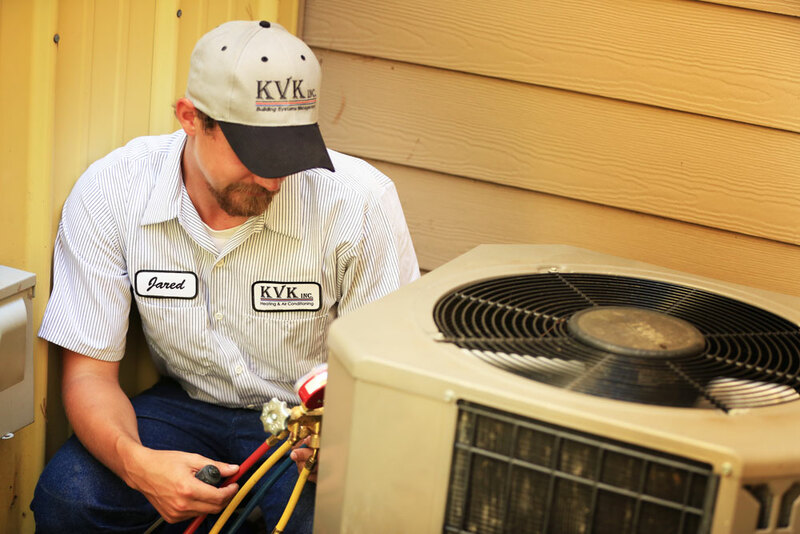 Don’t waste any time in seeking air conditioning service in Central Kansas if your unit isn’t functioning to the high level of quality and efficiency you expect it to. Instead, call our professional team right away for an inspection and any service or repairs that might be required. We understand that time is of the essence and that your comfort depends on a fully-functional unit. 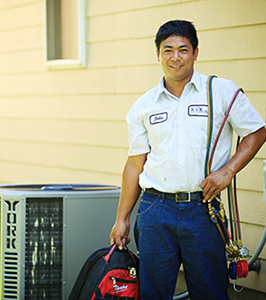 From rapid response and solutions for emergent issues, to basic air conditioning repair in Central Kansas to get your system working right again, we’re ready, willing and able to come to you. To service any manufacturer brand or model to a superior degree of quality. Ask us about ductless AC! If you’re living or working in a space that doesn’t have ductwork in place for forced air, don’t confine yourself to window units or expensive portable units. Instead, ask our professionals about the benefits of ductless AC! These wall-mounted systems can be placed virtually anywhere you’ll benefit from them and have the option to be precisely controlled via remote for simple adjustment. They’re ideal for office buildings and in historical homes!